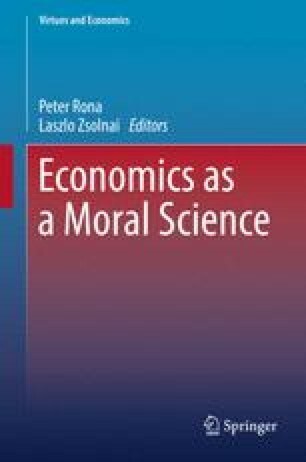 The paper argues that the attempt to relocate economics from the domain of the moral sciences to one closer to that of the natural sciences necessarily meant that free will, intentionality and moral judgment were excluded from its purview. However, the resulting surrogate reality has proven to be less than satisfactory because economic life is simultaneously about what should be as well as what is. Because economic life is lived with a purpose in mind, economic ‘facts’ are interwoven with intentionality. Attempts to reconstruct economics as a moral science show how utility calculations and moral considerations co-determine the behavior of economic agent s, and throw light on the deep connection between virtue ethics and all levels of economic activity as well as the deleterious consequences when that connection is impaired or severed.